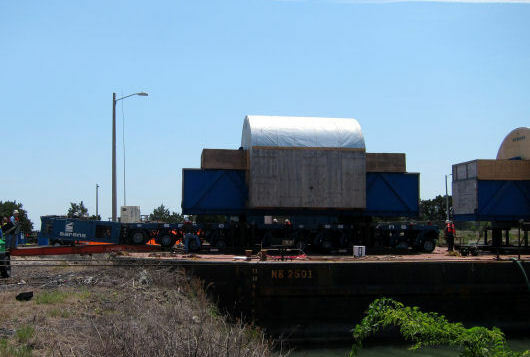 In June 2012, Argonautics Marine Engineering, Inc. provided on-site assistance during the offload of 2 Siemens low pressure turbines delivered by cargo barge MB 2501 to the Crystal River 3 Nuclear Power Plant in Crystal River, FL. Each steam turbine was broken down in a lower casing, an upper casing, and a 168 t heavy rotor. The barge was grounded at high water with its bow against the river bank at a special prepared area. Steel ro/ro ramps were used to span the gap to the shore. 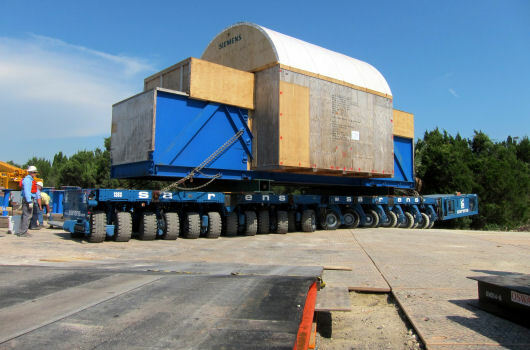 The large parcels were rolled off one after the other, using either 6 or 12 axle Kamag trailers. 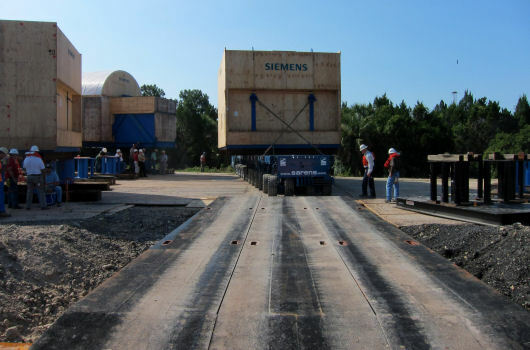 During the offloads, the barge was ballasted to maintain ground reaction and minimize any list. 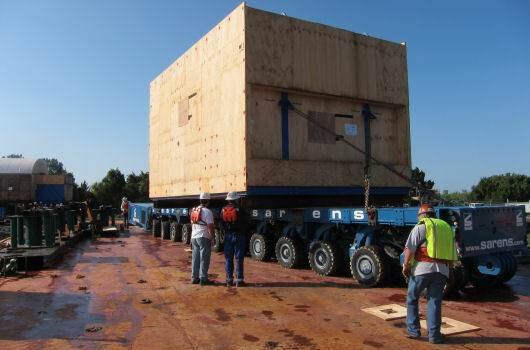 During these offload operations, on-site support was provided to the offload contractor. Provide comprehensive report on the offload operation.